Aaron is a Principal Security Consultant and the OT Testing and Assessment Services Lead at Revolutionary Security. Aaron is responsible for developing, leading, and executing OT projects that include physical walkdowns, passive and active vulnerability assessments, as well as functional and penetration testing. 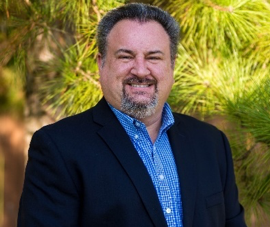 Prior to joining Revolutionary Security, Aaron worked for over 22 years within the oil & gas, financial, government, energy, and education industries focused on information and cyber security in both IT and OT. He has performed assessments and testing against building automation, commercial spaceflight support, remote scientific, manufacturing floor, and oil & gas production environments. He acted as engagement and technical lead on many ICS client projects. He also regularly participates and speaks at security conferences around the United States, including DEF CON, DerbyCon, HouSecCon, and LockDown. Aaron earned a BS in Computer Science from Sam Houston State University, with post-graduate study in Embedded Linux Programming. His certifications include CISSP and previously held ISA 99/IEC 62443 Cybersecurity Fundamentals Specialist.